Farmer Boys — For just $10.40, grab either two Breakfast Burritos or two Bell Ringer double cheeseburgers at participating Farmer Boys drive-thrus. 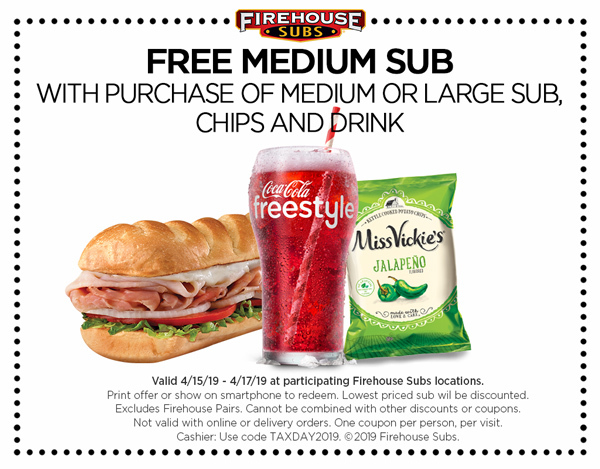 Firehouse Subs — Use this coupon anytime between April 15-17 to get a free medium sub with the purchase of a medium or large sub, chips, and a drink. Hardee’s — Say “Made from scratch” at any Hardee’s to receive a free sausage biscuit. This deal is valid for the breakfast hours of 7-10 a.m. Hot Dog On A Stick — Receive a free turkey or veggie dog with no purchase required. Eating a turkey corndog is our favorite tax day tradition. I mean only since today, but still, what a deal! 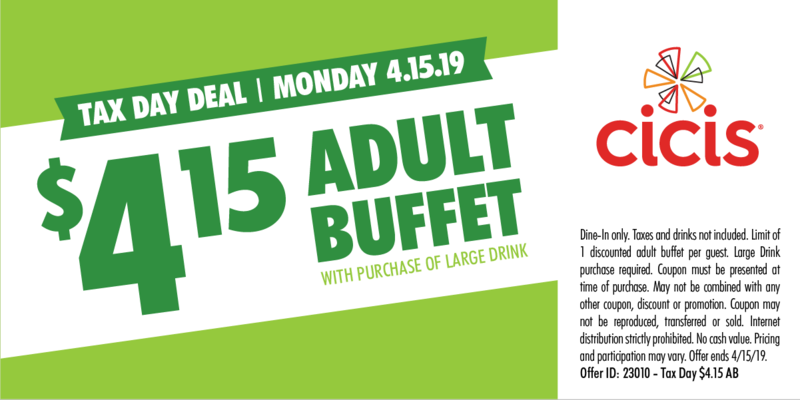 Hooters — This is a weird one, but if you take your kids to Hooters, they’ll eat free with any adult purchase equaling $15. Hooters — when you’re here, you’re family. Schlotsky’s — Receive a free small sandwich with the purchase of chips and a medium drink at any Schlotsky’s location. White Castle — For tax day only, receive 15% off of your purchase at White Castle using this coupon.